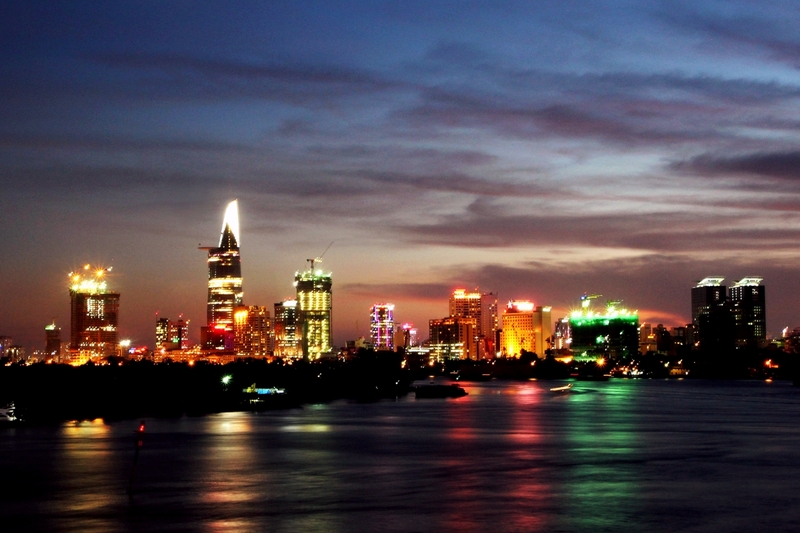 As time passed, the Saigon River became an integral part of the rich culture of Gia Định (a former name of what is now Ho Chi Minh City or Saigon). Here is an insider’s guide to the Saigon River for those curious souls who want to know more about this historical river and how to take advantage of its many features. 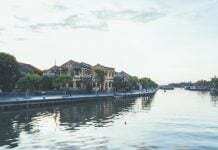 The famous Saigon River starts from Loc Ninh (Binh Phuoc), flows through the southern province of Tay Ninh and Binh Duong, and then goes through Saigon for about 80 kilometers, and finally joins Dong Nai River to pour into Nha Be river in the Red Light cape. The river stretches a total of 225 kilometers. 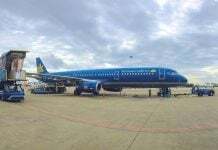 It became important because it supplied water to the city and is home to the Saigon Port, which is a hub for the import and export of goods to and from the South of Vietnam. It would be a big mistake not to mention the Saigon River Tunnel (A.K.A Thu Thiem Tunnel), which is an underwater tunnel that opened in the month of November 2011, to connect the existing urban area in District 1 with Thu Thiem, the new urban area in District 2. Saigon River played an integral role in the development of Gia Dinh village (A.K.A Saigon) since the 17th century. In the past, before the development of the road and traffic system, people from the South of Vietnam traveled to Gia Dinh by boat via the Saigon River for business or leisure purposes. They sailed along Can Gio beach to Nha Be River, and then took a right turn into the Saigon River to reach Gia Dinh. In the 18th century, the Saigon River became well-known among those in the region since Gia Dinh became a popular trading port, where ships from China, Malaysia, the Netherlands, and Portugal stopped to load on Vietnamese agriculture goods and silks. And when the French colonists built a port by the Saigon River to make it an essential stop in the trading routes between Europe and what was then “Cochinchina”, the riverbanks became engaged and the city soon began to flourish. 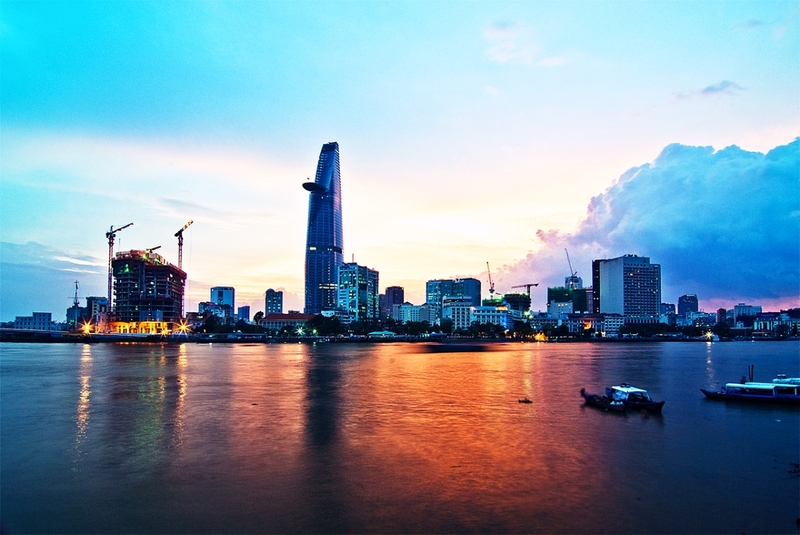 This is when Saigon became known as “the pearl of the far East”. Where Can the River Take You? 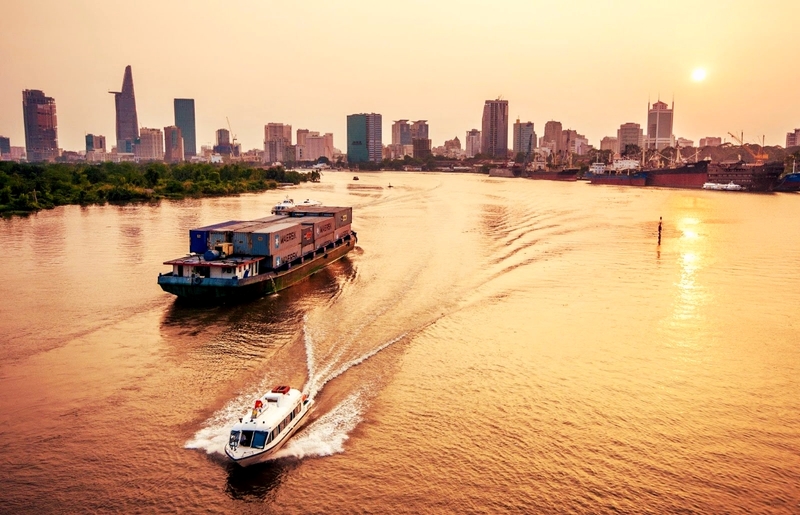 From downtown Saigon, you can cruise upstream to Thanh Da Penisula or jump on a boat to go southeast or northwest to visit Can Gio Mangrove Forest and the Cu Chi Tunnels. 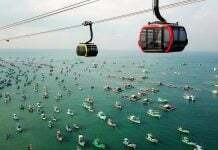 If you want to go further by the waterway, you can take a trip to Vung Tau or even the Mekong Delta. Details about various tours will follow. Keep calm and read on! 1. Go for a dinner cruise! If you are traveling with a loved one, you shouldn’t miss your chance to spend a romantic evening enjoying a special dinner as you cruise along the Saigon River. The reflection of the lights on the water surface and traditional music dance performances make your night an unforgettable experience. 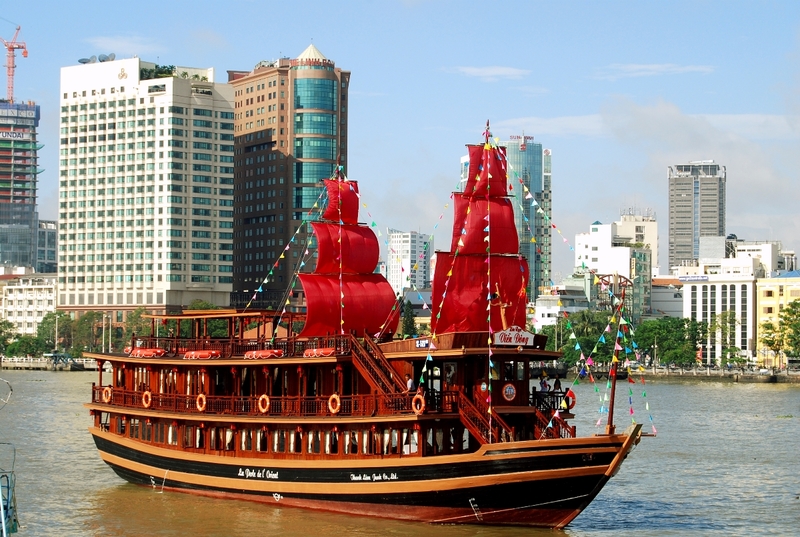 The La Perle de l’ Orient is a beautiful floating restaurant on the Saigon River. The boat is made of wood and it can carry 200 people. Enjoying dinner on this cruise ship means you can enjoy the sights of Ho Chi Minh City at night while listening to Vietnamese folk music accompanied by dance entertainment. For a set menu of six to seven courses, including appetizers, starters, main dishes, and dessert) it will cost you 319,000 VNĐ. For booking information, you can go to their platform to fill in a reservation form provided on the site. Another cruise that has a good view and atmosphere is the Elisa. It is a floating restaurant with big sails docked at the Saigon Port. With a capacity of 1,000 guests, this is the largest Vietnamese floating restaurant. This is a good place for couples to have a romantic date. The highlight of this ship is that it has live music every evening but it is a little pricey. For a group of four people, you can choose one out of three set menus. Each set has seven dishes including a salad, a starter, four main courses and fruits for dessert. Each set is priced at 2,000,000 VND. You can contact Elisa’s staff to book a table via Elisa’s website. 2. Dine at a riverside restaurant or enjoy a cocktail! Some riverside restaurants and bars like The Deck Saigon in District 2 are great for dining or for having drinks by the riverside. Some other restaurants you may be interested in are Liberty Central Saigon Riverside Hotel, The Rooftop Bar at Hotel Majestic Saigon, and Lá Đỏ Restaurant (at 162 Bình lợi, Ward 13, Binh Thạnh District) where you can find goat meat. Located on the other side of Saigon River, Thu Thiem Tunnel Park is a popular local hangout spot. Grab yourself some street food you see around (super cheap!) and find a small stool to sit down and enjoy your meal as you watch the sun go down over the riverside. The lights of the city soon come up and it seems as if the city has woken up after a short nap. There are mosquitoes around, however, so make sure you take some repellent with you. The street there is also quite empty after 7 PM, so be wary. Getting there is easy. Take the Vo Van Kiet Boulevard, cross the Thu Thiem Tunnel, and when you get to Mai Chi Tho Street, instead of going straight, you should make a U-turn into the small street on your right to enter the park. Thu Thiem Bridge is one of my favorite places to hang out, or take some time to myself and enjoy watching Saigon come to life from the opposite side of the river. You should visit in the afternoon when the weather is cooler and the sun is ready to go down. This bridge offers you a beautiful picture of a developing Saigon – a wonderful contrast right in front of you – with all skyscrapers neighboring slums and construction sites. Take a boat trip to the green and picturesque Thanh Da Peninsula for a perfect getaway trip on weekends. In Binh Quoi parks 1, 2, and 3, you and your family can go for a picnic, go fishing, or play sports on the riverbank. If that all sounds too energetic, just relax and enjoy some good food or coffee in one of the riverside cafes. Another attractive way to experience the Saigon River is by staying in hotels that have a gorgeous river view. Some of these hotels include are Renaissance Riverside Hotel Saigon, Lotte Hotel Legend Saigon, Liberty Central Saigon Riverside Hotel, and Hotel Majestic Saigon. However, at the moment there is a huge construction site by the Saigon River for the upcoming metro and bridge so the view might be messy and you will need earplugs to block all the noise from both the crazy traffic and the construction that go on. 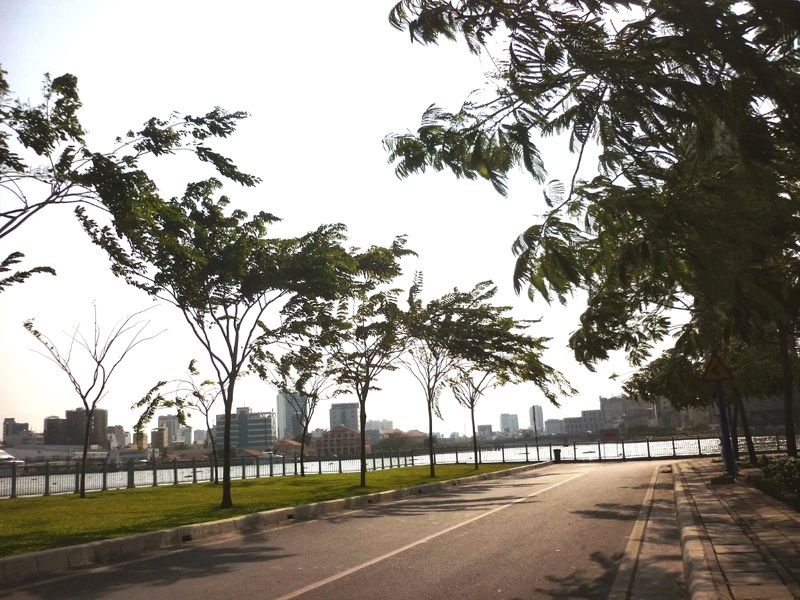 You can go to Binh Quoi peninsula to enjoy a nice view of the Saigon River and some greenery. Here you can stop at the island on Vam Thuat River to visit Phu Chau Mieu temple – a beautiful temple that has been decorated with bright mosaics and broken pottery pieces. District 1 is the heart of Saigon and is such a mess from the other side of the river. A modern Saigon with many skyscrapers appears in front of your eyes when you cross into District 1. The view by the river can be even more breathtaking – with colorful lights reflecting on the water ripples. An Phu is a totally green area which I’m sure you will crave after a while in the busy metropolis. Have you ever wondered what Saigon looked like before it became one of the fastest growing cities in the world? Well if you did, this tour is perfect for you. The area is surrounded by a tributary of Saigon River, a swamp, and a forest, and it is almost inhabited. Plus, the cool air and quiet atmosphere will also make you feel like you are in Mekong Delta. Isn’t that awesome? You can visit the websites of tour companies such as the Saigon River Tour, viator.com, Saigon Boat Company, and Les Rives. Price range: The price varies depending on company and itinerary. You can contact the tour company for more information. Five kilometers to the East of Saigon, Vung Tau is a beach city where you can find fresh greater amberjack fish a.k.a “cá cam” in Vietnamese and plenty of other great seafood and many delicacies. It is also great for sunbathing and having a beach escape. All you need to do is pack a backpack, go to Bạch Đằng Pier, buy a ferry boat ticket, and enjoy the ride for one hour and 20 minutes. Then you can enjoy your beach life. 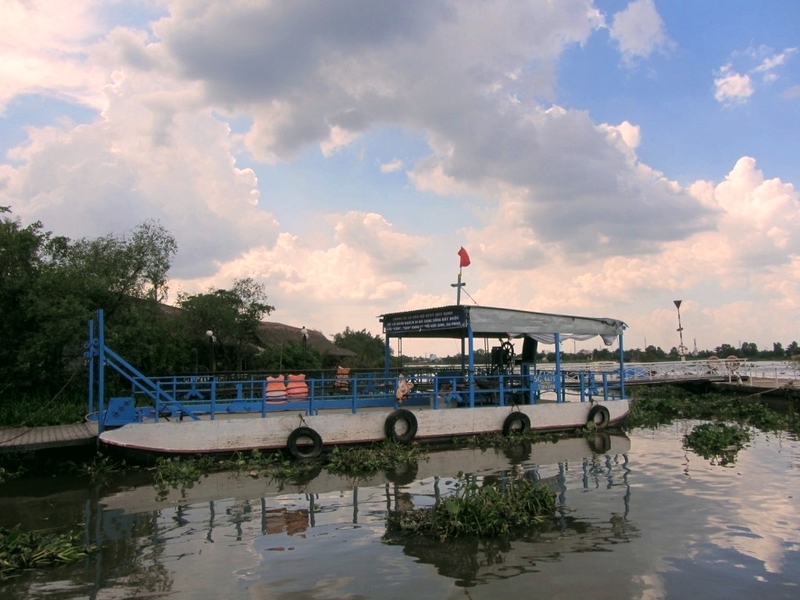 Another option is to visit the famous Cu Chi tunnels by speed boat up the Saigon River. Besides getting to know more about the history of the Cu Chi tunnels and the Vietnamese way, you will also get a glimpse into the everyday rural life of those living in the area. The tour for the Cu Chi tunnels usually spans half a day and you will have to cruise on the river for an hour to an hour and a half. You can book tours with Saigon River Express, Vietnam Discovery, Buffalo Tours, and Viet Fun Travel. 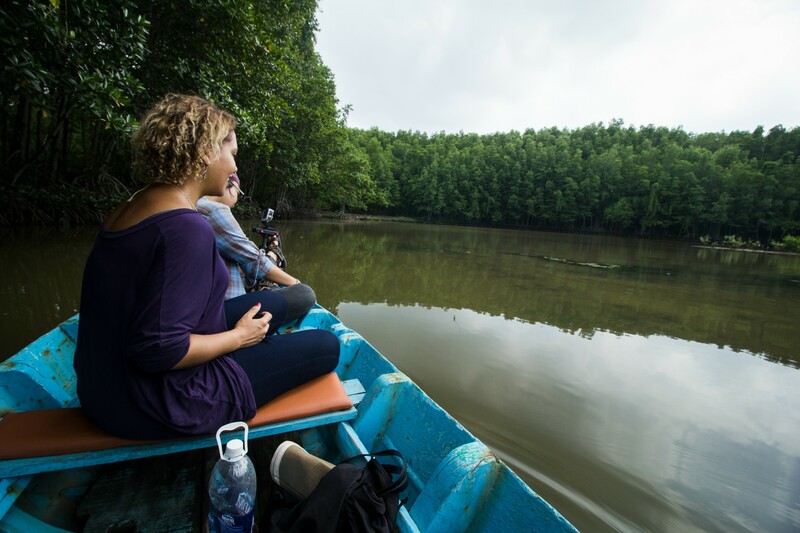 Those who love ecotourism will enjoy this tour to Can Gio Mangrove Forest. It is located 40 kilometers to the southeast of Ho Chi Minh City and is a UNESCO protected park. There you can find diverse habitats such as mangroves, steamy jungles, wetlands, salt marshes, and palm-fringed islands. You can book your tours via Saigon River Tour or Les Rives Experience. Instead of going to the Mekong Delta by bus, why don’t you go there straight by boat? You can check tours out on Saigon River Express, Lesrives Experience, Mekong Eyes Cruise, and Viator. 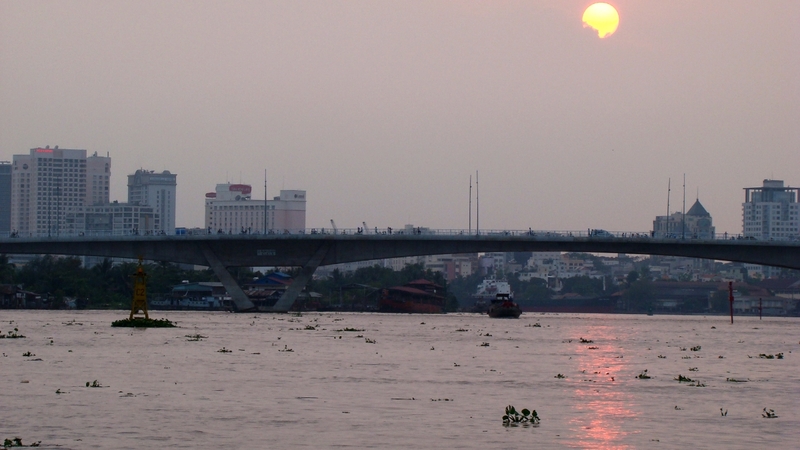 Drawbacks of the Saigon River include dustiness from construction in the area. Some parts of the river can be smelly during the day. Maybe wearing a facemask will help. Now grab a bubble tea and take a walk on the riverbank to enjoy the atmosphere of Saigon. Hopefully, the information in this article can help you make the most of the gorgeous Saigon River. Let me know how your day goes in the comments!